Dental amalgam has already been used for more than 150 years now. Millions of patients have already benefited from it. Usually, it is used as filling for cavities due to tooth decay. 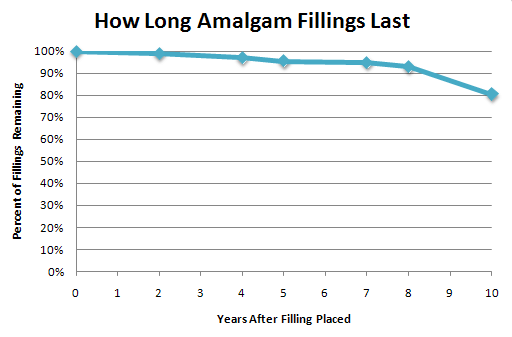 One of the major reasons why amalgam fillings have been a huge hit in the dental industry is that they last long. According to a study conducted by a Belgian dentist, amalgam fillings last for an average of 12.8 years. This study involved 722 amalgam fillings he had placed between 1982 and 1999. Meanwhile, 659 dentists from Finland also did a similar study. Research showed that the average life of amalgam fillings is 12 years. Another similar study was conducted in 2012, involving a group of researchers. Their study showed that 80% of amalgam fillings still ten years after they are placed. No wonder, lots of people were shocked when amalgam fillings were banned in various countries. The United States is also considering the ban. Food and Drug Administration (FDA) already ordered the ban, considering the possible harm of these fillings. 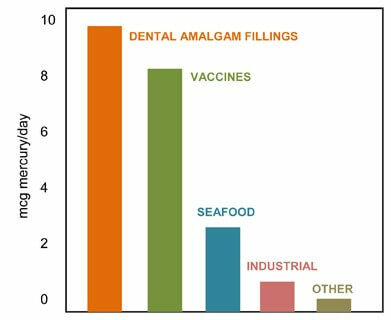 In the document FDA released, amalgam fillings ban in European countries like Norway, Denmark, and Sweden. Similarly, the European Union also released a statement requesting for the ban of the same material. According to the statement, a study was conducted in behalf of the EU and it was found out that amalgam fillings should be banned for the next years. Even Japan is greatly affected by its shift. Like the European countries mentioned previously, Japan also started implementing amalgam fillings ban. After that, even other countries followed. Just last year, around 140 countries already said yes to The Minamata Convention on Mercury, which covered worldwide mercury ban. Given the fact that amalgam fillings have been used in the dental industry for years and that it has the ability to last even more than 10 years, then why do countries and institutions prohibit its use? For you to understand why here are the dangers of amalgam fillings. 1. Metals expand and contract, depending on temperature. While metals are known for their durability and reliability, they also have other properties which you may also want to think about. One of them is their ability to expand and contract, depending on temperature. If this happens, your tooth may be affected, too. Once the fillings expand, your tooth’s structure may be forced and weakened. Worse, it may also break. Metals have the tendency to react with the things that have contact with them. Their chemical compositions are complicated, after all. If you have dental fillings that are made from metal, then corrosion might happen, causing your fillings to leak and give way to bacteria. This can cause not just discomfort but also serious infection. 3. You may feel discomfort with a metal filling. Apart from expanding and contracting, metals also have the tendency to give way to electrical flow. It can be painful, of course. Also, metals have the ability to conduct hot and cold temperatures, which can also be uncomfortable for you. 4. Amalgam fillings require removal of a healthy tooth. Amalgam fillings do not reinforce your teeth and require removal of healthy tooth structure. Amalgam material need to meet the minimum criteria of depth and size to work properly. Amalgam removal causes unnecessary loss of healthy tooth structure and during this process the patient is exposed to mercury vapor released during the procedure. 5. Amalgam fillings have mercury. Mercury has been known for the dangers it can cause. It is a highly-toxic material and spills involving mercury have always been frowned upon because of the health risks they cause. In fact, the US alone is largely affected by this material. 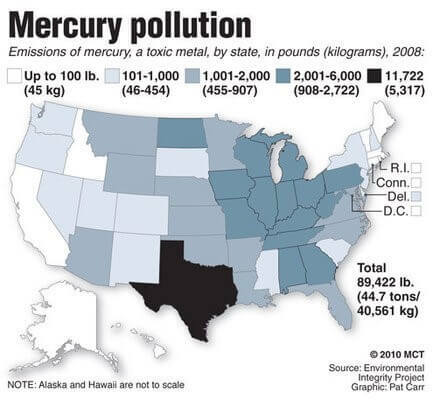 It was found out in a study that there was an increase in the rate of mercury spills, leading to mercury pollution. Mercury can contaminate the air and the thing is, it can be really dangerous. Even a short-term exposure to this can already cause cough, shortness of breath, chest pain, nausea, vomiting, diarrhea, fever and hypertension. Long-term exposure to this can cause tremors, insomnia, irritability, headache and memory loss. It can also cause damage to the nervous system and kidneys. What more if your dental fillings contain this harmful material? What if your dental filling emits mercury every now and then which, if you inhale, can cause serious health problems? Now that’s a huge problem. Actually, according to studies, mercury vapor is emitted each time a person with amalgam fillings chews food or drinks beverages like coffee. The vapor is sprayed onto the person’s oral cavity, where it can easily be absorbed into the bloodstream. What is even more alarming is the fact that many dentists have already used it. Also, until now, there are still who believe in the power of amalgams as dental fillings. In fact, even the American Dental Association is still an advocate of these harmful fillings. Given the dangers that come with amalgam fillings, it is then best to find alternative materials for dental fillings. Among of the best choices would be composite fillings. Unlike amalgam fillings that contain mercury, composite fillings are made of plastic. Often called as “white” or “tooth-colored” because of their color, this alternative is safer due to its composition. It also has other benefits. Unlike amalgam fillings, which are metallic by nature, composite fillings bond with the surrounding tooth chemically. This has something to do with the chemical composition of these composite fillings. Also, because of their color, they also blend with the tooth’s color, making it look more nature. As mentioned earlier, amalgam fillings are massive that they require removal of a healthy tooth to have ample amount of space. This is something you can avoid if you are having composite fillings. This is because composite fillings are lighter compare to amalgam fillings. They also do not occupy much space because they are more compact and versatile. Because of this, you can actually use composite fillings to repair your tooth that is simply cracked, worn, or chirped. Be picky about the materials you use for your fillings. Just because you are not a dentist does not mean you should not care. As the patient, you have the right to know about these things. You have the right to be safe and protected from all the possible dangers that may be caused by whatever materials are used on you. When it comes to dental fillings, just remember that you are getting them to have your life and daily living improved. Never ever take risks you might just regret one day. To be safe, get dental fillings with materials that are not harmful for the body.